Some things moved us. Others made us think. The rest gave us nightmares for the last six months straight. Whatever the last 12 months have meant to you, the year was packed with cultural moments that wound up defining 2018: Black Panther, Time's Up at the Golden Globes, Crazy Rich Asians. (We could go on — and we have already.) 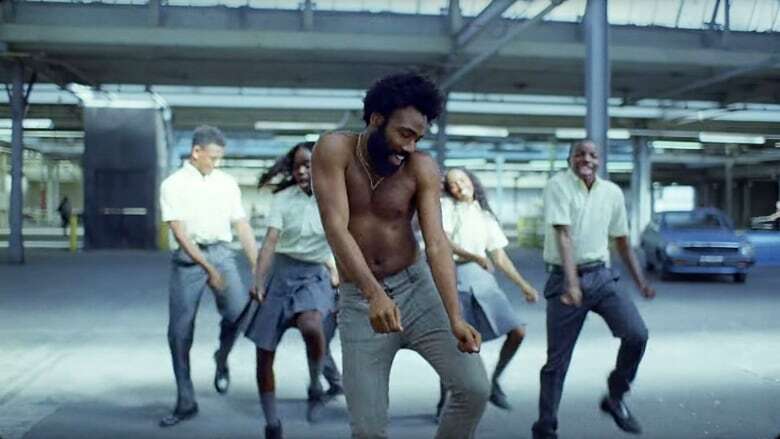 As for what 2018 meant to the team here at CBC Arts, there have been so many instances of movies and music and theatre and art that reached us on an emotional level. That's what you'll find on this list: things that moved us and made us think, long after we had the good fortune of experiencing them. Take a look. 2018 was the year that Ariana Grande became the most important pop star in the world. It's a bold statement — but it's one she's spent the last 12 months proving. There was Sweetener, her third number one album. There was "thank u, next," the single that shattered streaming records and instantly felt like the song of the year, despite being released in November. There was, of course, the endless whirlwind of drama and gossip fodder that kept her name in the tabloid headlines (often in ways that were deeply insensitive and unfair to her). But there was so much more than that, too. In the picture perfect world of pop music, when do we ever get to see anyone be so real with us? Grande took the curtain that usually divides celebrity and audience and set it on fire. She shared herself with us so candidly that we felt like we knew her personally. She talked like we do, documented the minutiae of her life on social media like we do, got exhausted like we do. She was open about her struggles with anxiety and PTSD and even released a single about panic attacks. The message at the heart of "thank u, next" — thinking of your exes with gratefulness rather than bitterness — has already shifted the cultural conversation. When she won Billboard's Woman of the Year Award, instead of a polished and practiced speech, she shared a heartfelt confession about the paradox of it being the best year of her career but the worst year of her life (and, in a slightly heartbreaking moment, forced herself to hold back tears — a reminder of the way her emotions have been policed by the public at large). She embraced softness but also stood her ground against irrelevant men who accused her of exploiting her sexuality and "milking" the tragedy of her ex's death. (Seriously, guys: do better.) She showed us herself as a whole person, with an authenticity no PR firm could ever sell. The first time I tried to explain the plot of Hereditary, I made it sound like one of those bleak, indie family dramas that I never get around to watching on Netflix. That's what happens when you try to talk about it without all the "Hail Paimon" spoilers, but turns out I was spot on. For all the hype about it being scarier than The Exorcist, writer/director Ari Aster has shied from calling it a horror movie. This despite the fact that yes, there's definitely a satanic panic conspiracy underpinning the story, and yes, it is definitely scarier than The Exorcist. Aster's label of choice is actually "family melodrama." But then, what has more potential for horror than a story like that? It's why I'm still thinking about Hereditary now, five months after I stopped having nightmares about accidentally summoning a Mesopotamian demon, and why watching it is worth the lifetime of therapy it might trigger. So how about that recap: Toni Collette and Gabriel Byrne play the parents of a couple of high school kids, Charlie and Peter (Milly Shapiro and Alex Wolff), and the action opens with a funeral. Grandma's died, and even though they all lived under the same roof, she and daughter Annie (Colette) had been estranged for ages. Nobody's much good at talking about their feelings in this house, and extreme tension is dominant mood from the get-go. But then, tragedy strikes again. Charlie dies in a car accident with her brother at the wheel — a brutal scene, and probably the most horrific thing that happens up to that point. But when the news reaches home — well, I get the cold sweats just thinking about that scene. Colette's earned deserved raves since the movie arrived at Sundance, and just the sound of her voice in that moment — not just a wail of grief, but something uglier, more raw, more animal. Hear that sound and you know these people are never going to be OK. Even if grandma's cult is out to get them, and there are evil spirits waiting to wear their bodies like meat suits, this family has bigger problems that will destroy them first. When senior writer Leah Collins told me that I had to see Annihilation because it was a "Lise movie," I thought maybe she meant there was a unicorn in it (no spoilers). So I didn't watch any trailers and decided to go, and at first I was like, "Oh, this is a movie about women in a forest and I'm in for that," but then it got more like, "I do not know what this movie is," and then there was a giant alligator, and oh god that bear, and then I did not know how this movie would end. So then there was the lighthouse, and suddenly I was having the full existential panic attack I've probably always wanted to have, and this muffled and warbling blown-out horn score was playing (which I loved). I thought maybe the theatre would implode or explode or that I was legit losing my mind for about four minutes and then I was OK. Later I ate some chicken wings with my friends and went home and torrented it 87 times. Thanks, Leah. My favourite art experience this year was a bit of a cheat. It lasted only a couple of minutes; it was merely one step in an artist's process, not the final work; and none of you can experience it. Sorry! But it was, truly, blissful. The artist in question is Toronto composer Jonathan Kawchuk, and some of the CBC Arts: Exhibitionists team caught up with him while we were shooting at Banff Centre for Arts and Creativity. 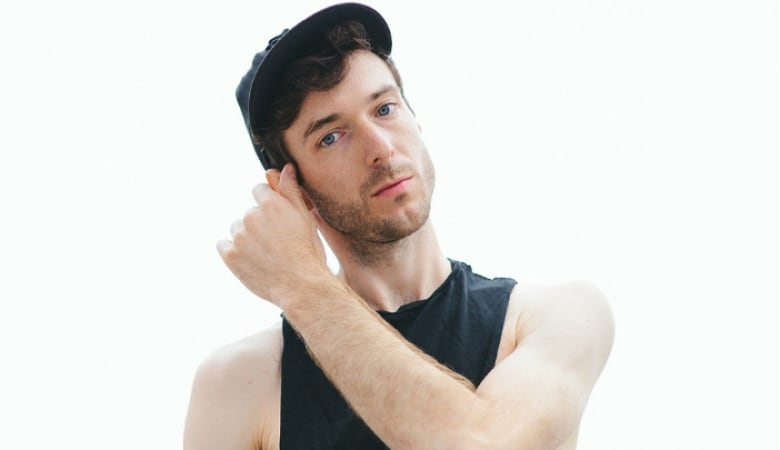 Kawchuk was hard at work on his second album, the follow-up to this year's North. He'd already recorded and spliced together a series of wordless vocals back in Toronto. 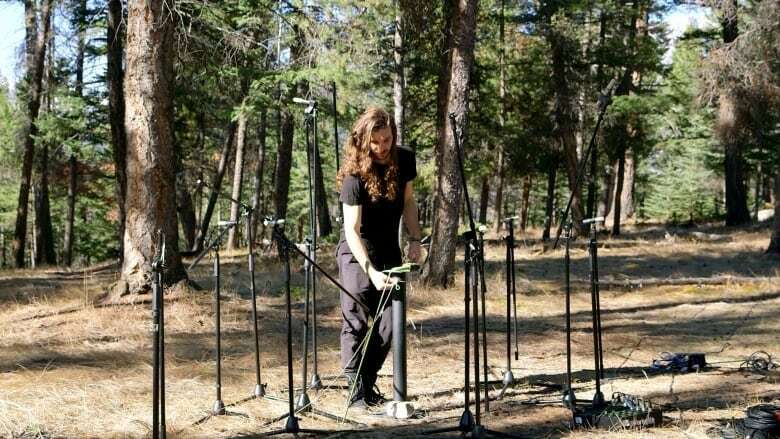 In Banff, he was working on the next step of the process: playing those recordings on a series of carefully positioned speakers in the middle of the forest, and then recording the natural reverberations that the forest gave back. The result was sublime, as Kawchuk's sounds suffused the stillness of the woods with a haunting aural glow. "Asian August" offered a lot to talk about this year, with the success of Crazy Rich Asians, To All The Boys I've Loved Before and Searching. All released this summer, they showed that Asian stories can be popular on the big and small screen. 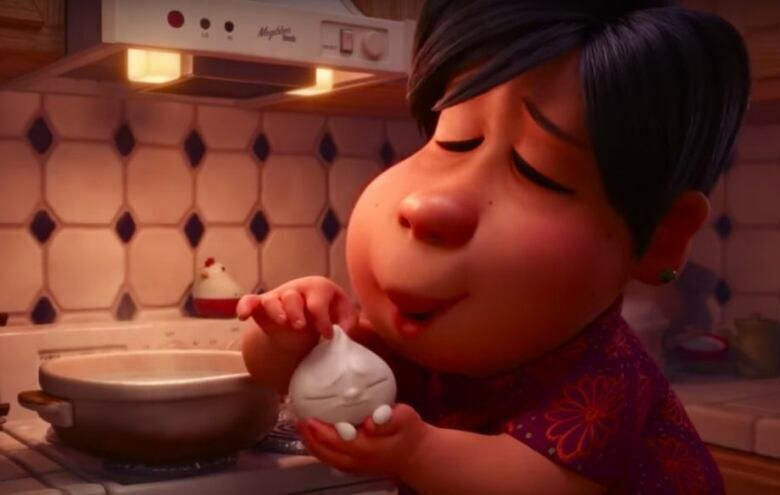 But for me, the big jump forward regarding Asian representation was thanks to Asian-Canadian director Domee Shi and her Pixar short film Bao. It's huge for many reasons. It played in the coveted spot before The Incredibles 2. Shi is the first female to direct a Pixar short, and she fought for the gig in an American Idol-esque pitching backstory that could be its own film. Plus, it was just shortlisted for an Academy Award. Not bad for a Sheridan grad. It's hard to pick just one favourite thing this year, because as a life-long comic book nerd, 2018 will always be the year of the Panther. Wakanda Forever. But looking beyond fictional heroes, I remembered another unexpected breakthrough for artists of colour this year: the Obama portraits. 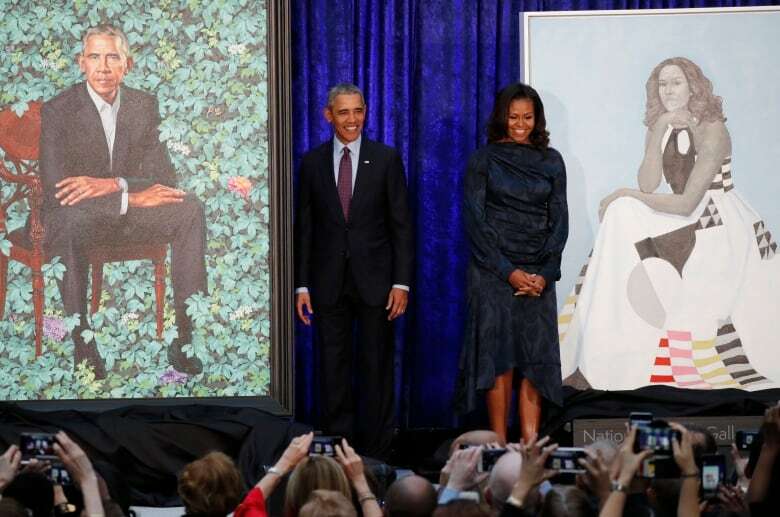 Painted by two of my favourite artists, Kehinde Wiley and Amy Sherald, they were unveiled February 12 before going on display at the National Portrait Gallery in Washington, D.C.
Barack's portrait by Wiley, and Michelle's portrait by Sherald, could not be more different. Wiley's intricate floral backdrop dominates his composition while situating Barack in a fairly casual state — no tie, sitting in the garden with arms gently folded. It's a dignified pose that somehow feels regal yet accessible, hopeful yet tired, privileged yet not without pain. Meanwhile, Sherald positions Michelle Obama in what is arguably the more powerful pose of the two. Her long dress flowing beneath her like a Queen's throne as she stares unapologetically at the viewer. Even Melania might look at it and say, "I'll have what she's having."